Though we recently reported that Muse were gearing up to record the score for Louis Leterrier's upcoming remake of Clash of the Titans, it's been revealed that the band won't be involved after all. In an interview with MTV, Leterrier cleared the air about all of the rumours surrounding the score. "It was not Muse ever. 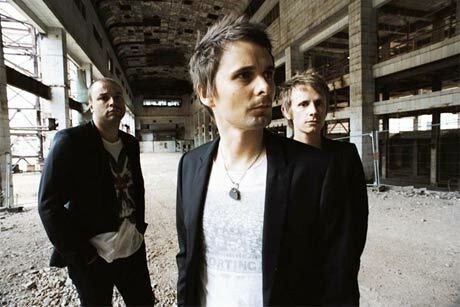 It was [Muse front-man] Matt Bellamy," the director said. "I love Muse, I'm the biggest Muse fan ever, but I wanted something a little different." Leterrier goes on to say that Bellamy recorded a lot of material for the film, but had to back out when Muse went on tour. "Not so long ago, he called me and he was like, 'Louis, I'm so sorry. I have to be respectful to my audience and professional and I have to stop on Clash." Instead, Massive Attack contributor Neil Davidge will now compile the film's soundtrack. Like the recent rumours surrounding A-Trak and Madonna, this soundtrack mix-up can also be traced back to British newspaper Daily Star. The remake of 1981 film Clash of the Titans is set to hit theatres on March 26.